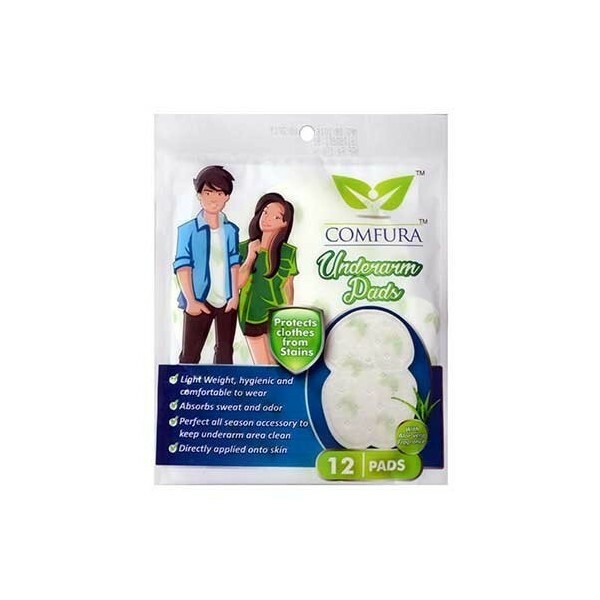 Rama Lifesciences Comfura Disposable Underarm Sweat Pads -12 Pads. 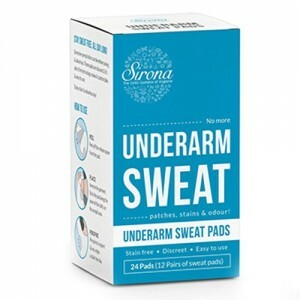 Sweat pads are applied to your underarm to absorb the excessive sweat and protect your clothes from sweat stains. Set of 12 Lightweight Hygienic pads, which is comfortable and easy to wear. Super Dry and Super Absorbent pads with Aloe Vera fragrance that absorbs sweat and odour to leave you fresh all day. Perfect all season accessory to keep underarm area clean and hygienic. Product Description: Sweat pads doesnt harm your skin or block your sweat glands, thus allows your body to act naturally. Comfura sweat pads are super comfortable, super dry, and easily sticks to your clothes. They effectively protects your clothes from sweat stains, ultimately reducing the laundry cost. Comfura sweat pads lock the sweat in the form of the gel. You can use them during all seasons, on a day to day basis. 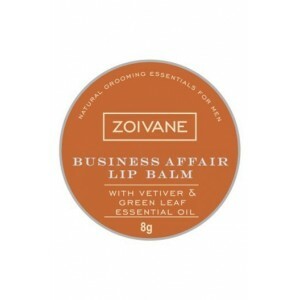 They are integrated with aloe vera fragrance which makes you feel refreshed and active all day long. Comfura sweat pads are made for everyone, mostly for people who usually go out. 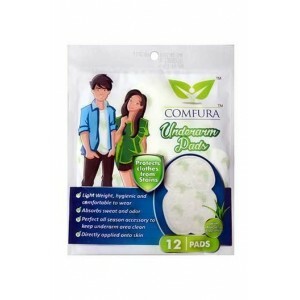 Benefits of using comfura sweat pads: Unisex product. 100% recyclable. Easily disposable. Very easy to wear. 8 hours of freshness. 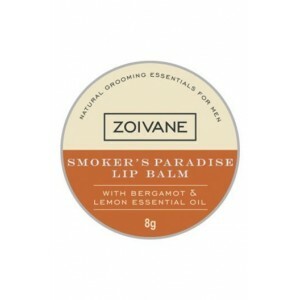 Amazing product. Really comfortable and easy to use. Perfect for summers and parties.